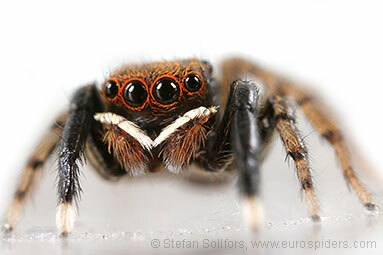 Head-on view of Euophrys frontalis. 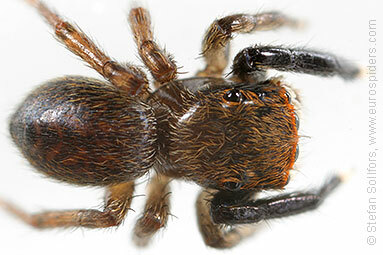 Male Euophrys frontalis from above. Male Euophrys frontalis from the side/back. Notice the odd shape of the head from this angle. 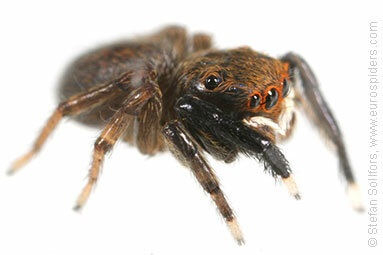 Male Euophrys frontalis from above/front. 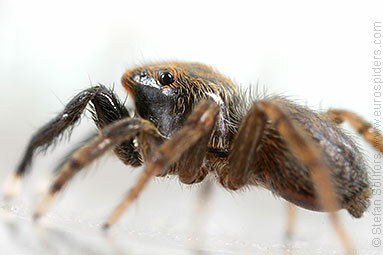 Here you can see its black front legs and the red around its eyes. Male Euophrys frontalis from below. 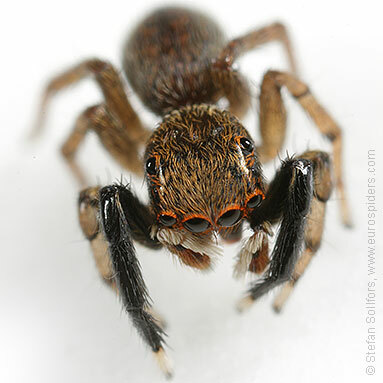 The tiny, but cute, jumping spider with red rings around its eyes - Euophrys frontalis. 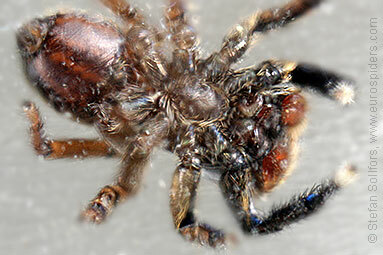 This spider can appear in two different colour forms, a dark and a light. Here is a dark male.